Bula and welcome to paradise! Now for Easter Break! Plus, at the end of July and beginning of August , families come to Beqa island to participate in the Family Explorers Weeks at Beqa Lagoon Resort. Family Explorers Week is more than just a vacation. It is an adventure that brings together adults and kids from all over, with one common thread - their love of the ocean and their desire to dive and experience another country and totally different culture. 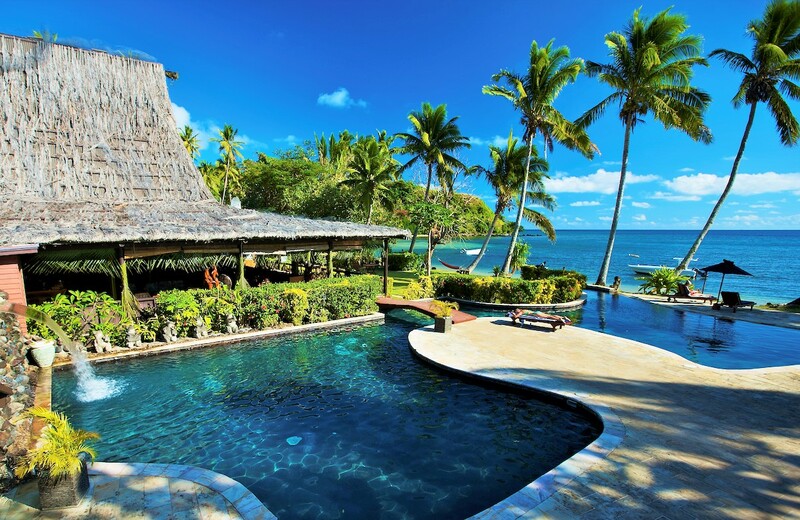 Parents enjoy a stress free dive vacation at Beqa Lagoon Resort because they are confident and comfortable entrusting their kids to our experienced team. Beqa Lagoon Resort dive programs are designed to make learning enjoyable, safe and educational. Under the guidance of professional PADI Instructors, your kids will gain confidence while mastering important safety concepts and skills. Bubblemakers is as fun as it sounds – a chance for kids to blow bubbles by scuba diving. Children who are at least 8 years old can use scuba gear to breathe underwater and swim around in shallow water. Bubblemakers get a chance to experience scuba diving under the direct care and supervision of a PADI Pro, ake their first breaths underwater in a pool. They will learn about and use scuba diving equipment made for children – not adults. Several 1-2 hours sessions in the pool. Price $75 for first session, $50 for subsequent sessions. 5 academic sessions, 5 pool sessions, 4 ocean dives – Takes about 4 days to complete. Ages 10-14 will earn PADI Junior Open Water Certification, Ages 15+ will earn PADI Junior Open Water Certification. Kids will learn more than a new set of skills. They will learn how to navigate their way through a whole new environment (underwater!) and how to do so safely and with excitement. They will master the basic fundamentals and then build upon them gradually so they don't feel rushed. Instead, they feel confident and comfortable. Kids will learn at their own pace--however fast or slow--even if extra lessons are required. Szilvia Gogh’s life is about creativity, inspiration, travel and survival. She was recently inducted into the Women Divers Hall of Fame, named as a PADI Ambassador and was the youngest female in the world to become a PADI Course Director. Featured by PADI for the 2016 Women’s Dive Day, she has been teaching scuba diving from beginners to dive instructors for over nearly two decades in Malta, UK, Thailand and now in California. In addition, Szilvia spent many years fostering the adventure of childhood at the Tocaloma Summer Day Camp in California. With her enthusiasm for travel and adventure, and being a new mom herself, Beqa Lagoon Resort is thrilled to have Szilvia hosting our Summer Family Explorer program. Family Fun Week with Ms. Scuba! 7 night package includes lodgings, meals & fun!